The official home of Sinnober. SINNOBER is the mercurial jazz-folk-rock fusionist creation of multi-instrumentalist song writers Sebastian & Natalie Brice. Their 2015 eponymous debut LP was swiftly followed up by 2016’s Little Wars and the duo soon began to grace the UK’s most essential playlists – including BBC Radio 6 Music – whilst cutting a swathe of passionate reviews in the process of national touring. 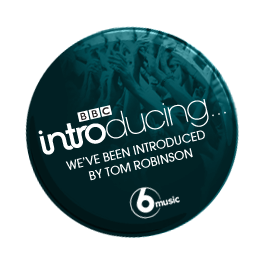 Promptly claimed as BBC Introducing’s Artist of the Week following the release of their latest album, Projection (Indefra Records), SINNOBER’s new LP features guest drummer Dave Smith (Robert Plant and The Sensational Space Shifters) and cellist/composer Heather Truesdall. This vividly personal work of poignant simplicity and unaffected charm exposes the unabashed eloquence of bare bones songwriting distilled into its most vital form.